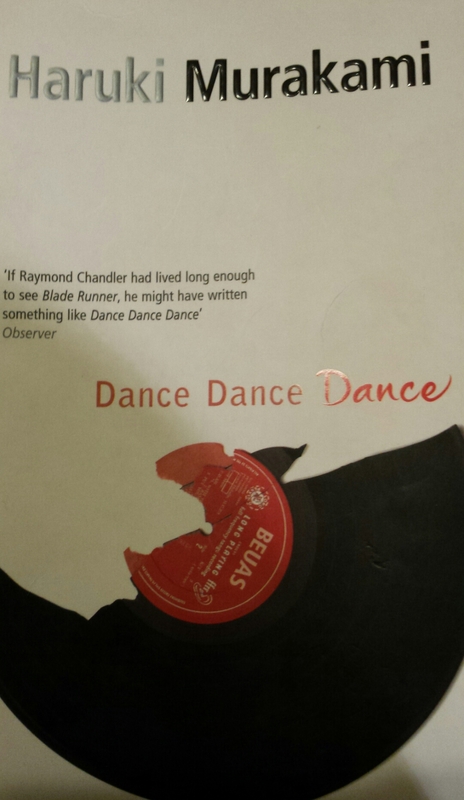 For some reason, I wasn’t keen on reading Dance, Dance, Dance. I’ve started it before but don’t think I’ve finished it. Whimsical. Fatalistic. Reflective. Not my usual sort of book but I have to say I really enjoyed it. It mixes fantasy and reality so seamlessly you almost forget which is which and despite a slow, puzzling start it pulls you on deeper and deeper into the story. We never find out the name of the main character, a low-level writer of filler articles for newspapers and magazine, but the book relentlessly draws you into his search for Kiki, his former lover, and his strange relationships with the people he meets along the way. The writing is beautiful, although in translation, but the descriptions of Japan and his life are vivid, and his internal monologue powerful. Because it is so realistic and earthy, really building the wintry atmosphere at the start of the book, the gritty descriptions of suburban life, that somehow you just automatically believe the story when it starts to include the psychic 13-year-old, and the mysterious Sheep Man who lives on the 16th floor of a hotel, which you can only get to when you aren’t thinking about it, and who acts as a sort of spiritual guide. In fact, I feel silly now talking about the Sheep Man as it sounds ridiculous, and yet within the story everything seems plausible and logical. The story follows our protagonist as he tries to unravel his past, living in the present and trying to follow the Sheep Man’s advice to keep (metaphorically) dancing. The Sheep Man says that his role is to help our protagonist to find his connections again, rather like a switchboard operator, so we find that many of the people in the book are in some way connected, and we struggle along with our protagonist as he tries to make sense of it all. In that respect, it feels a bit like a murder mystery, and has that thrilling pace to it, especially after the first death. In the end, the ending isn’t so much of a surprise, but you get a real sense of inevitability building towards the end of the book. It feels like the protagonist is never in control, and so all he can do is adapt and hope that the story goes in the way he wants it to. Definitely one to add to the ‘to read’ pile. Previous post ← Drum roll please…. Interesting project, this blogging around the bookcase :), and a good review. I keep thinking I need to read a Murakami book – maybe this is it. Thanks. I would recommend Dance, Dance, Dance. I really enjoyed it. Glad you like the project! I am having a great time uncovering so many great new reads, and even the geology books have been fun.